The Club at Aliana, a resort style amenity, is one of our premiere locations known for creating life-long memories. The rooms within The Club at Aliana include the Ballroom with living room style seating and access onto the loggia, two side rooms referred to as the North & South Rivera Rooms with seating in each for 12 and two state-of-the-art fully equipped kitchens that can be used for your catering purposes. There is also free Wi-Fi throughout the building. 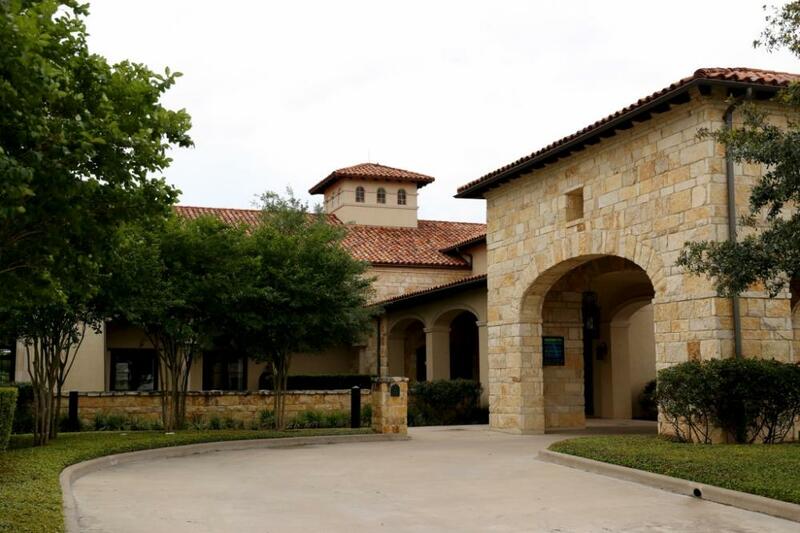 The Club at Aliana also serves as the On-site HOA office with office hours of Tuesday - Friday from 9am-6pm. The Club at Aliana may be rented for usage by Aliana residents only. All residents must be in good standing with HOA as part of the verification process. $85 per hour Friday, Saturday and Sunday; rentals prior to 6pm on Friday are not private rentals. Guests will be limited to the Ballroom only, there is a (4) hour minimum and a (12) hour maximum. Setup & clean up is included in your rental time. A complimentary 30 minutes for setup is available upon request at the time of booking your event. $50 per hour Monday- Thursday; rentals held during these hours are not private rentals and are limited to the Ballroom only. Maximum occupancy is 60 during business hours. Security is $35 per hour per officer with a one-time admin fee of $25. (1) security officer is mandatory for all rentals over 76 guests; (2) security officers are mandatory for all events serving alcohol. Furniture removal fee of $275; large furniture in the Ballroom can be removed and placed in the South Rivera room adjacent to the Ballroom. Use of the South Rivera room will no longer be available should you opt to move furniture. Large furniture includes the couches, large vases, coffee table and sofa tables. No other furniture or decorative items may be moved. Third-party rentals are not permitted. Your rental is not confirmed until you receive your confirmation email from our Clubhouse Rental Coordinator. Two (2) weeks advance notice is required for all rentals. No one under 21 years of age may rent The Club at Aliana. Friday & Saturday rentals may begin at 9am, building must be vacated by 12am. Sunday rentals may begin at 12pm, building must be vacated by 9pm. Maximum Occupancy is 125 guests (children and infants included) Friday after 6pm-Sunday and 60 guests Monday - Thursday. Loggia is included, both during and after business hours weather permitting. Please note this is an outdoor element, we will put forth every effort to insure the loggia is rental ready prior to your event however cannot guarantee. The Lawn and gazebo are not included at anytime. Bounce houses, slip n slides, pinatas, outdoor grills, trackless trains etc., are not permitted. Renters may bring in outside furniture/equipment. Renter must be on-site to receive and sign for all furniture/equipment deliveries. Pick up/delivery must be done during your rental time. Items may not be stored at The Club, either before or after your event, under any circumstances. Tape, silly string, confetti or glitter and pushpins are not permitted for use with decorations. Balloons must be weighted down and may not be let go in the building. Burning decorative candles is prohibited. Smoking, including hookah, is only permitted outdoors. Ashtrays are to be emptied and cigarette butts are to be picked up off the lawn surrounding the patios. Access to the pool is not permitted during your rental unless you have rented the facility and booked a party through our pool company. Written notice must be received at least three weeks (21) days prior to scheduled rental in order to receive a refund of the room rental fee. If the scheduled rental is less than fourteen (14) days in the future, no refunds for cancellation will be given, however, your security deposit will be returned. To check availability or request a reservation visit our Rental Requests Page.